Black Out has been updated to version 1.4 adding support for Android and BlackBerry 10. This strategy game is played by flipping the tiles one at a time until all of the tiles are ‘blacked out’. This is trickier than it sounds because whenever you tap to flip a tile, it also flips all of the tiles surrounding it. 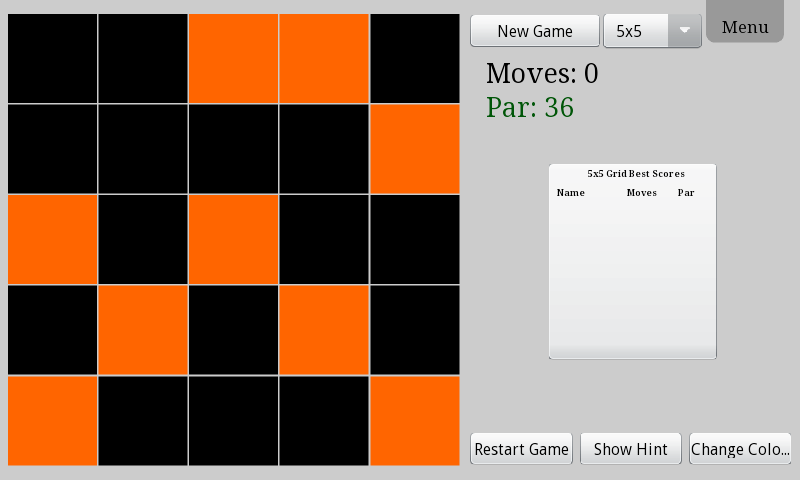 In order to accommodate different difficulties, the game supports board sizes from 3×3 all the way up to a 10×10 grid. Versions of the game on the already supported BlackBerry PlayBook, and Barnes and Noble Nook platforms were also updated.